Egyptian representative in the Champions League Ahly will be looking to keep their winning run in the Champions League when they visit Algerian side Jeunesse Sportive de la Saoura in Becher on Friday. Ahly's mission will not be easy in Algeria given Saoura's expected hunger for a positive result after the team slumped in their group opener in a 3-0 defeat to Simba of Tanzania, thus lying last and pointless in the group. Ahly's Uruguayan coach is facing a selection headache as he goes up against the Algerian side without a normal striker. Ahly's three strikers Marwan Mohsen, Salah Mohsen and Walid Azaro were sidelined from Friday's clash due to different injuries. This critical offensive situation prompted the club management to register the team's Nigerian winger Junior Ajaye in Ahly's African list at the expense of Malian defender Salif Coulibaly to compensate for the attacking shortage in their squad. "We have some new faces that are still making their way in the team," Ahly's coach Lasarte told CAF on Wednesday. "Many key players are absent due to injuries and we will do our best to find suitable replacements," he said. "I believe all the players will give everything to return from Algeria with a positive result." On the other hand, Saoura's President Mohamed Zerouati said that he expects a tough game against Ahly, adding that he believes his side is capable of earning a positive result against the Cairo giants at home. "The continent knows who Ahly are. 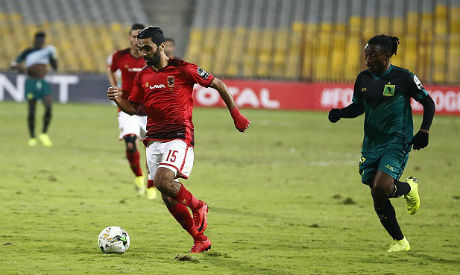 It is a great club that has won many titles, but we are ready for any challenge and I think we will earn a good result against Ahly," Zerouati told reporters on Thursday. "We have a dream in the continental competition and we will fight to realise our targets," he concluded.